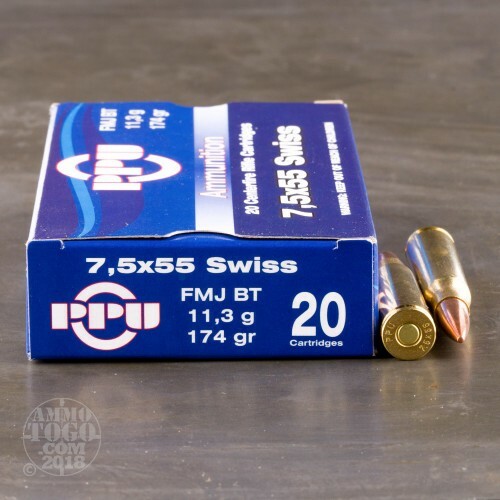 This 7.5×55 Swiss cartridge by Prvi Partizan features a 174 grain projectile. The bullet has a full metal jacket to protect your classic rifle’s bore from accumulating lead residue. Its boat tail design amps up its ballistic coefficient as well, giving it the accuracy you need for satisfying practice at the range. 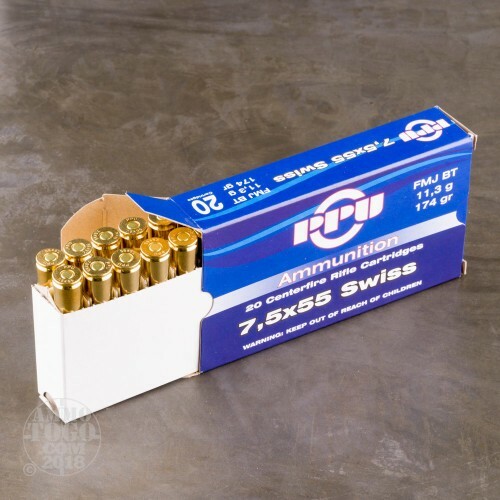 This round has a non-corrosive Boxer primer that ignites cleanly, and its factory fresh brass casing is optimal for handloading. Should you choose to reload this round, you’ll have little trouble finding bullets for it -- a 308 Win projectile will work quite nicely! Although surplus K31 rifles have made the 7.5×55 Swiss round slightly easier to find as of late, it’s still a rather rare commodity. 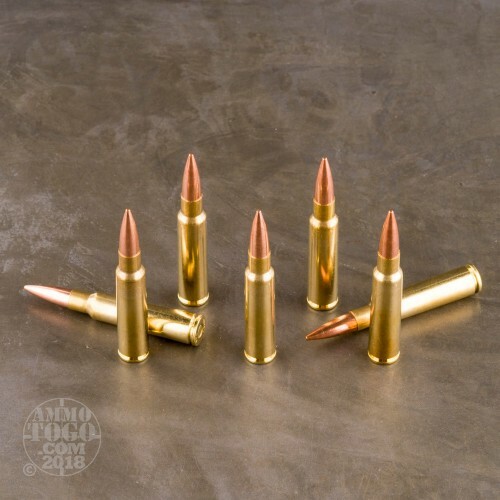 Prvi Partizan specializes in creating high quality loads for less popular firearms, so you can rest assured that this round is ready for whatever action you’ve planned for your antique weapon. 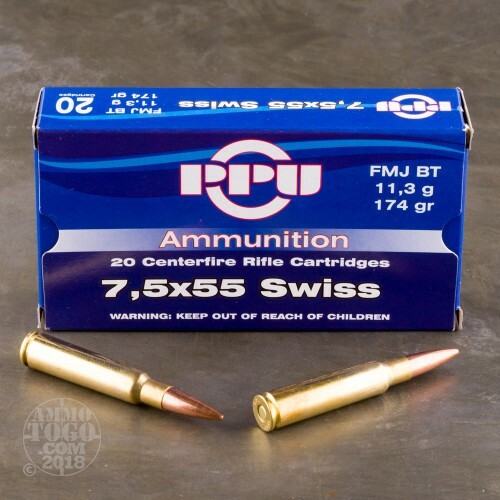 7.5x55 Swiss ammo is excellent in my K31. Three shots in same hole at 50 yards with open sights. Next three were 75 yard range with three holes able to be covered with a nickel. Nice bang for the buck and reloadable brass as a bonus. Very consistent ammo. It was very accurate in my K-31 and functioned flawlessly. It's really good stuff for the price. THE SERVICE AND PRODUCT DOESN'T GET MUCH BETTER THEN HERE!! THANK YOU AMMUNITION TO GO!